For over 90 years Oakdale Garage has been servicing the automotive repair needs of Oakdale and its neighboring communities. All with the simple and honest premise in mind. Educate our customers and let them make an educated decision about their repair needs. Oakdale Garage was originally opened in 1924 by Lee Gregg. In 1984 Carey Gregg, Lee’s grandson, took over the shop from his father Ken. Our location here on East F street was once a repair shop for horse and buggies. It became Oakdale Garage in 1969, Inc in 1978. Carey is a knowledgeable technician and service writer. His experience and customer service has created a long base of repeat and referred customers. He enjoys educating customers about their vehicle so that they can make an educated decision about their car repairs and maintenance. Tommy started with us in October of 2008. With several years of experience under his belt, Tommy is always willing to help customers find the best repair option for their needs. 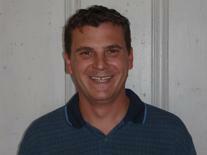 Nat has been with Oakdale Garage since January of 2001. He is both ASE certified and a licensed smog, brake, and lamp technician. 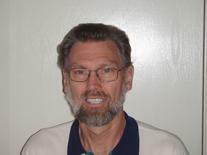 He is also our resident expert on diagnosing electrical and drive ability problems. He is one of the best automotive technicians in the area. 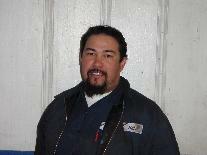 Jorge started at Oakdale Garage back in August of 2004. 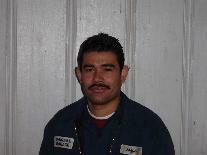 He is ASE certified and a licensed smog, brake, and lamp technician. Jorge has proven to be a quality technician. He also does English / Spanish translations for the shop. Here’s a few testimonials from some of our valued customers. Stopped in because driver side window would not roll up. Gary immediately gave me a timeframe and a reasonable quote. I appreciated his down to earth manner. The mechanic took his time to carefully work on the car. Fantastic service. I would even drive the 100 miles from the Bay Area to have all my service work completed at Oakdale Garage. Carey and Tommy are great people to work with. They have a very professional yet personal relationship with their customers which is greatly valued. Not only is the service excellent, timely, cost effective and worthy, clean service area and friendly. They are masters at what they do. Carey was able to diagnose the problem on my vehicle in a short period of time whereas a qualified dealership took endless amount of time without any satisfactory results a 60 mins round trip each time. Oakdale garage is 30 mins round trip. Thank you Carey and your team of people that work with you means they care about what they do.